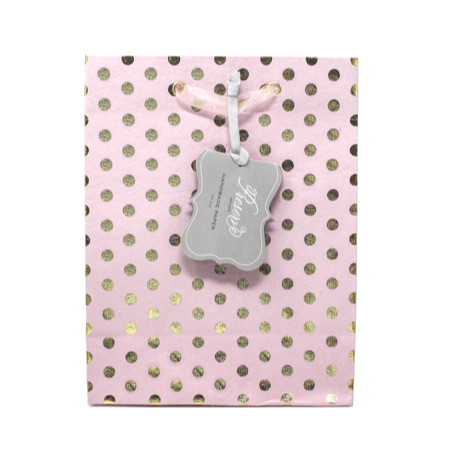 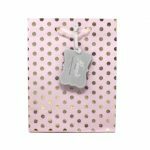 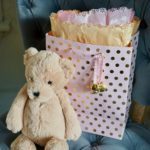 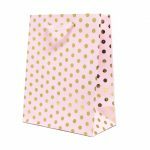 This soft pink gift bag features delicate gold foil dots. 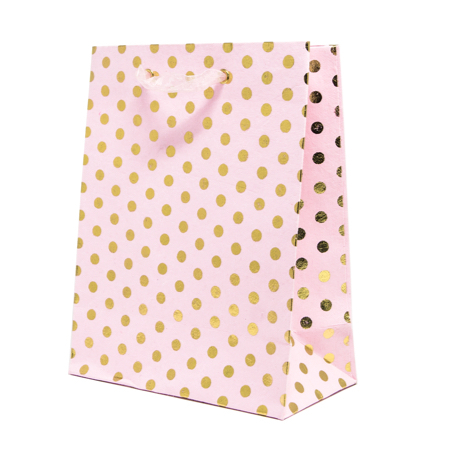 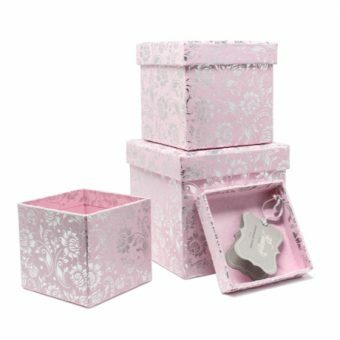 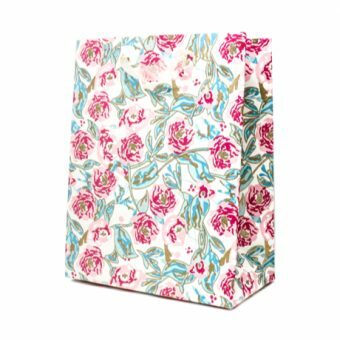 The Pink Lady gift bag can be used to surprise your daughter, your best friend or your co-worker. 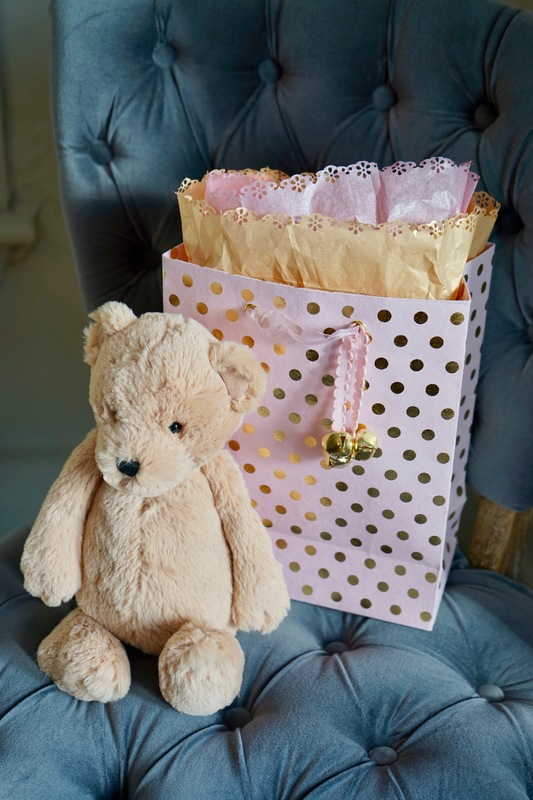 Dress up your gift by adding a special ribbon accent to make it personal or hide little toys in it for a baby shower. 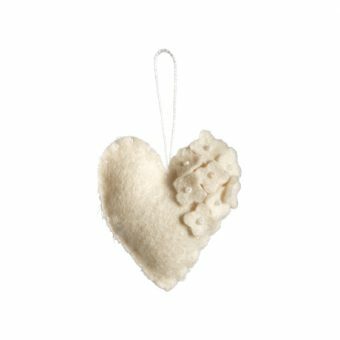 Inspired by and made with love.